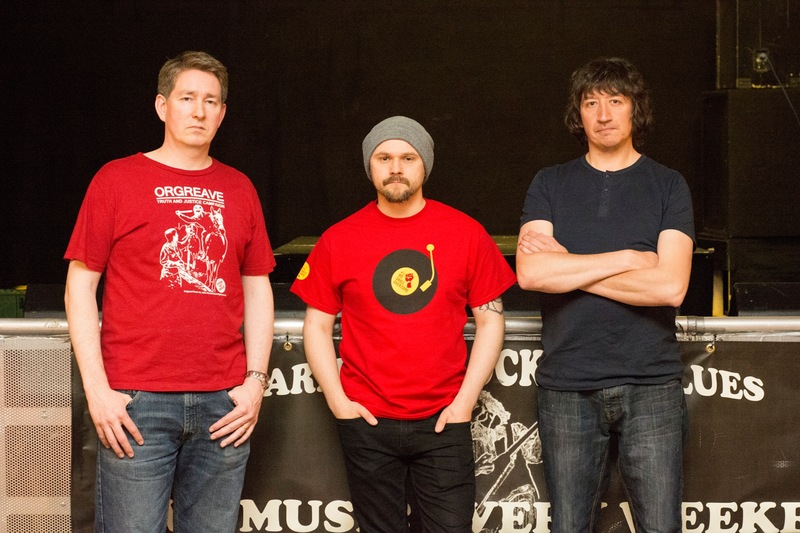 Over the weekend of 2nd – 4th October, all over the country, gigs, concerts and festivals have been (and are still being) organised with the purpose of showing solidarity in the face of a central government cuts. The series of events are called We Shall Overcome. At each event, we organisers and volunteers show solidarity and offer practical help to those affected by austerity policies. 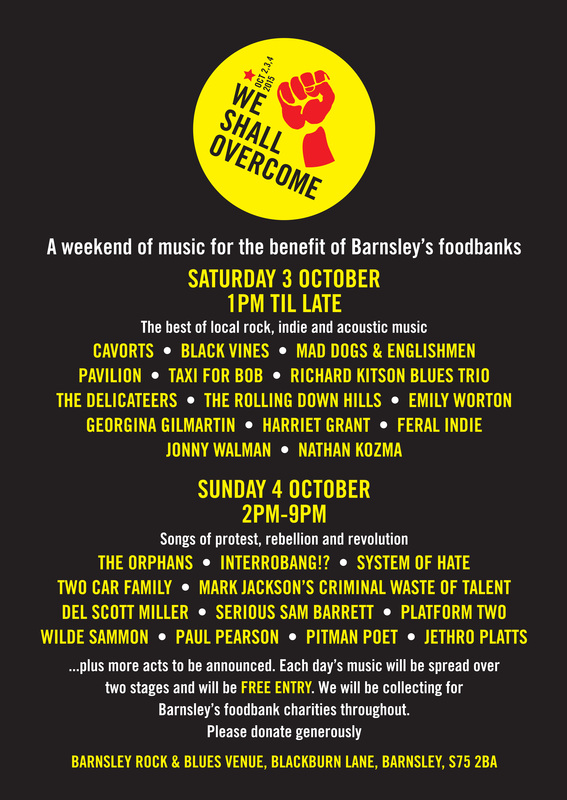 Organised by Jason White, Chris Sammon and Chris Scarfe, Barnsley’s very own We Shall Overcome weekend will take place at the award winning Barnsley Rock & Blues Venue over three days. We shall be raising money to help Barnsley’s foodbanks charities. Saturday 3rd October will see a selection of Barnsley finest rock, indie and acoustic acts perform over ten hours over two stages; including an acoustic lounge, which will be a first for the venue. Acts confirmed to play include BLACK VINES, CAVORTS, MAD DOGS & ENGLISHMEN, THE RICHARD KITSON BLUES TRIO, TAXI FOR BOB, PAVILION, EMILY WORTON, THE DELICATEERS, GEORGINA GILMARTIN, NATHAN KOZMA, THE ROLLING DOWN HILLS, HARRIET GRANT, FERAL INDIE and JONATHAN WALMAN. 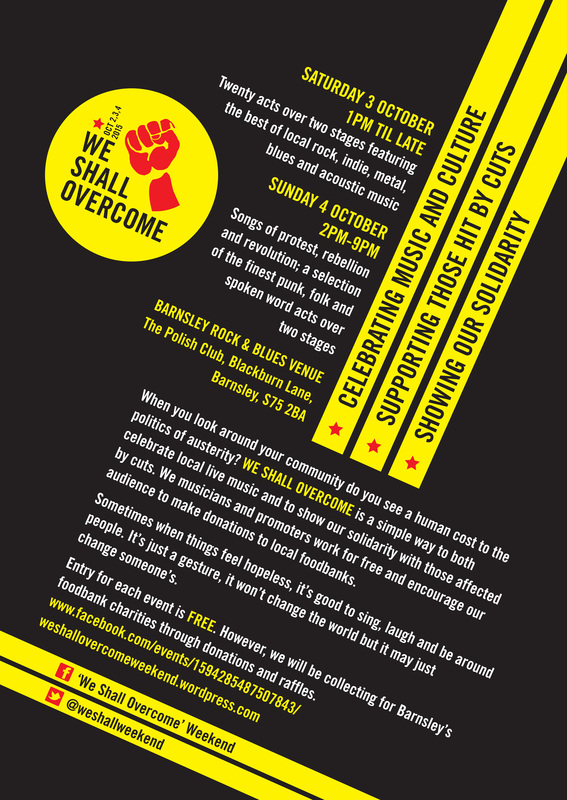 On Sunday 4th October, the two stages will host over six hours of ‘Songs of Protest, Rebellion and Revolution and will see performances from THE ORPHANS, SYSTEM OF HATE, SERIOUS SAM BARRETT, MARK JACKSON’S CRIMINAL WASTE OF TALENT, DEL SCOTT MILLER, PLATFORM TWO, PAUL PEARSON and spoken word performances from PITMAN POET and JETHRO PLATTS. 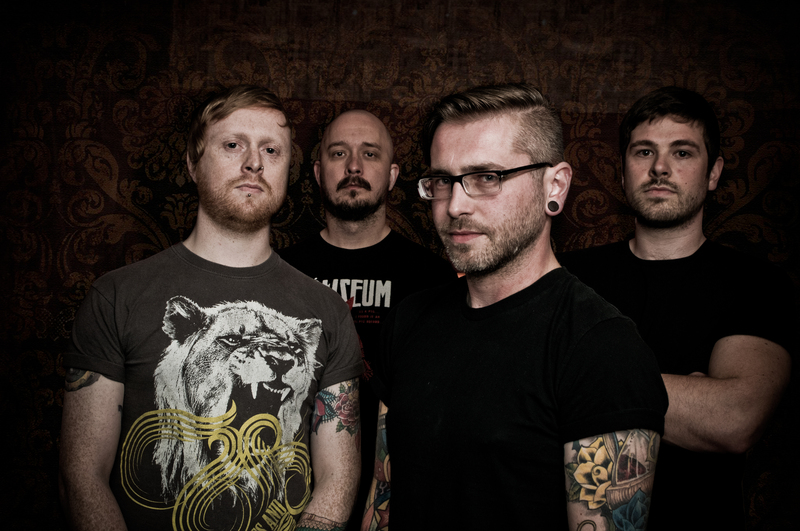 Special guests are the day are Leeds bands INTERROBANG!? 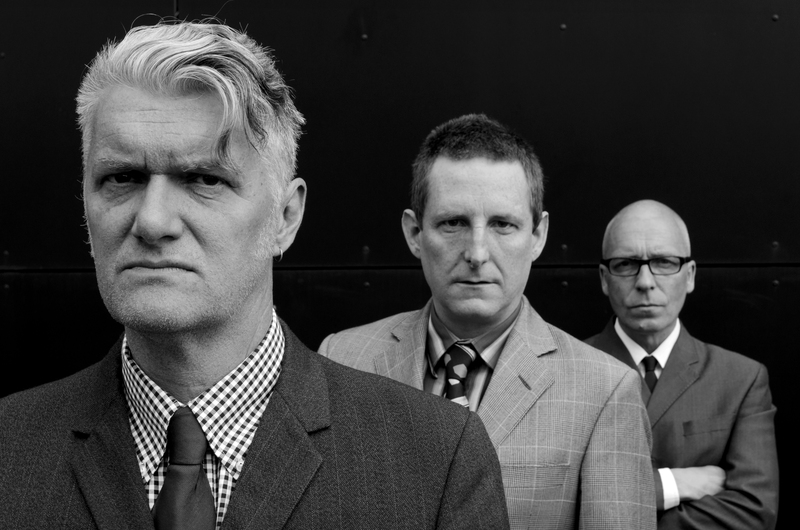 and TWO CAR FAMILY, which feature amongst their ranks Harry Hamer and Mavis Mills, formerly of Chumbawamba but also both previously played in the early Barnsley punk band PASSION KILLERS, a pivotal group in the 70s and 80s Yorkshire Anarchist Punk and Squat scene. 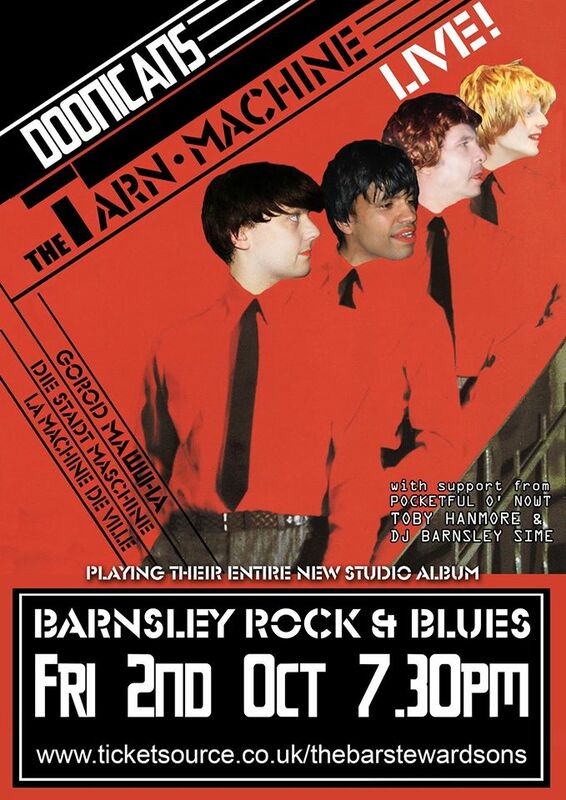 As an extra bonus, on the evening of Friday 2nd October, THE BAR-STEWARD SONS OF VAL DOONICAN, already booked to play their latest album ‘The Tarn Machine’ in full, have generously offered to donate a percentage of their tickets sales to our foodbank charities and also collect money on the night. To find out more about We Shall Overcome event happening around the UK, visit the facebook page and official campaign website.